Turf & Dirt - On Horse Racing: Square Eddie, Old Fashioned...Showdown in the Dirt! Square Eddie, Old Fashioned...Showdown in the Dirt! 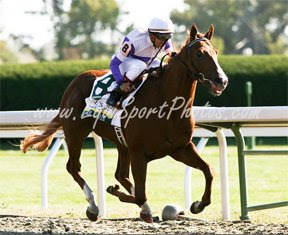 From the Daily Racing Form - ARCADIA, Calif. - Square Eddie, second in the Breeders' Cup Juvenile in October and the San Rafael Stakes at Santa Anita last Saturday, will make his first start on a conventional dirt track in the Grade 3, $250,000 Southwest Stakes at Oaklawn Park on Feb. 16. Should be a great preview for the rest of the trail. Maybe the beginning of a long term rivalry between Square Eddie and Old Fashioned?